Jersey is no less than a dream project for Natural Star Nani who put in all his efforts to get into the skin of a professional cricketer. He likes to watch cricket, but he is not a great player. For this film, Nani underwent training to play his shots right. He didn’t even care injuries during the shoot and he is super excited with the outcome. 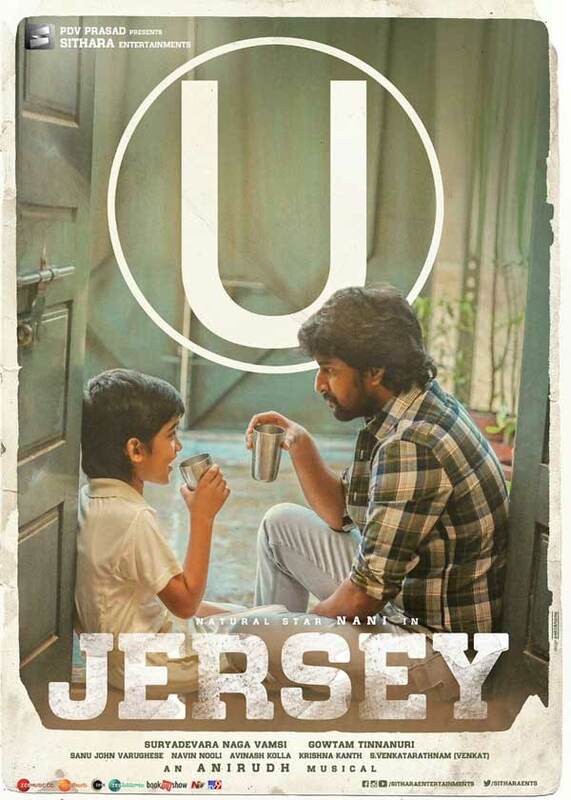 Meanwhile, Jersey has completed its censor formalities and the film has been awarded with clean U certificate. No cuts were suggested to grant the film a clean U certificate which is very rare phenomenon of late with young filmmakers of this generation are enthusiastic to make youthful appealing entertainers. So, Jersey can be watched along with all the family members of any age group. As per inner sources, Jersey is going to be a memorable film in Nani’s career. While first half is said to be entertaining and magical with Nani’s romantic track with Shraddha Srinath and his initial days as a cricketer, the second half will be an emotional ride with Nani facing many odd situations and deciding to make comeback to play cricketer for his son and also to fulfill his life ambition. Directed by first timer, Gowtham Tinnanuri, Jersey which has now completed all the hurdles is gearing up to hit the screens on 19th of this month.